This dish is the perfect mixture of garlic and spice. 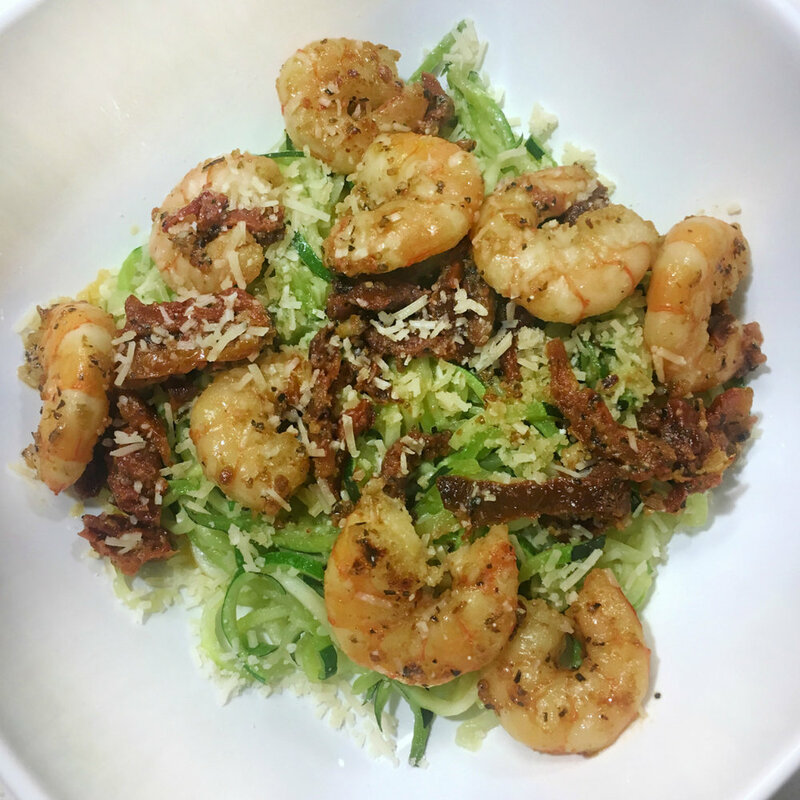 The zoodles are a great swap for traditional pasta and will leave you feeling full, without having to consume all those extra carbs! Bonus: You can cook this in under 20 minutes! These little babies are not only delicious, they're also really easy to make! 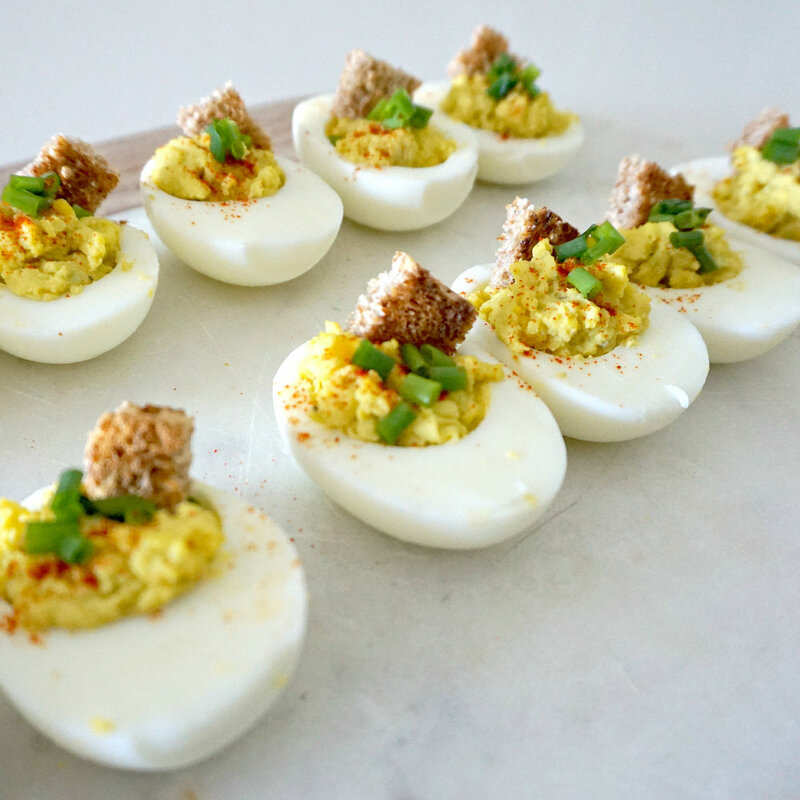 This recipe is healthier than classic deviled eggs, but will leave you and your guests just as satisfied. This recipe contains no mayo...aka less guilt. They're also the perfect appetizer and are sure to impress at any party. 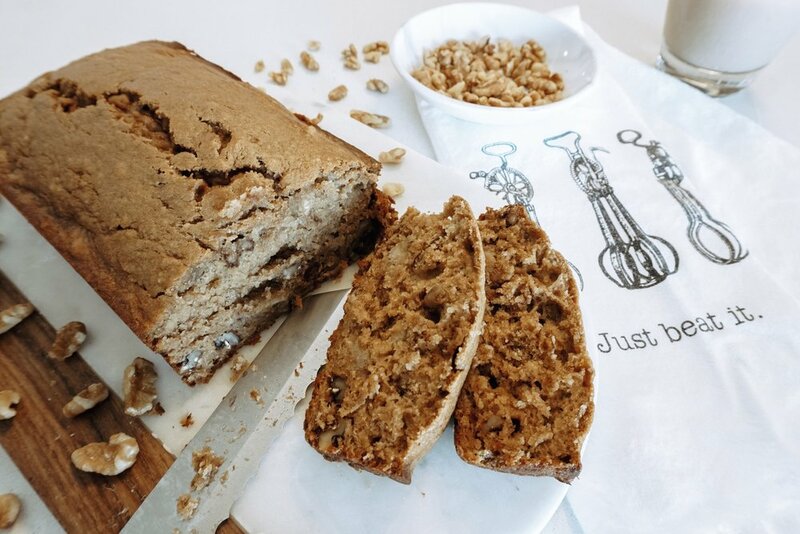 This banana nut bread is really easy to make and will have you feeling PSL and hayride ready…even in 90 degree weather. Warning: it’s so good, you’ll want to eat the whole loaf!